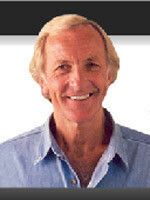 Journalist, film-maker and author, John Pilger is one of two to win British journalism’s highest award twice. For his documentary films, he has won an Emmy and a British Academy Award, a BAFTA. Among numerous other awards, he has won a Royal Television Society Best Documentary Award. His epic 1979 Cambodia Year Zero is ranked by the British Film Institute as one of the ten most important documentaries of the 20th century. Delegates to the recent Labour Party conference in Brighton seemed not to notice a video playing. The world’s third biggest arms manufacturer, BAE Systems, supplier to Saudi Arabia, was promoting guns, bombs, missiles, naval ships and fighter aircraft. It seemed a perfidious symbol of a party in which millions of Britons now invest their political hopes. Once the preserve of Tony Blair, it is now led by Jeremy Corbyn, whose career has been very different and is rare in British establishment politics. In fact, at the end of the US primary elections last year, Sanders led his followers into the arms of Hillary Clinton, a liberal warmonger from a long tradition in the Democratic Party. As President Obama’s Secretary of State, Clinton presided over the invasion of Libya in 2011, which led to a stampede of refugees to Europe. She gloated at the gruesome murder of Libya’s president. Two years earlier, Clinton signed off on a coup that overthrew the democratically elected president of Honduras. That she has been invited to Wales on 14 October to be given an honorary doctorate by the University of Swansea because she is “synonymous with human rights” is unfathomable. Like Clinton, Sanders is a cold-warrior and “anti-communist” obsessive with a proprietorial view of the world beyond the United States. He supported Bill Clinton’s and Tony Blair’s illegal assault on Yugoslavia in 1998 and the invasions of Afghanistan, Syria and Libya, as well as Barack Obama's campaign of terrorism by drone. He backs the provocation of Russia and agrees that the whistleblower Edward Snowden should stand trial. He has called the late Hugo Chavez – a social democrat who won multiple elections - "a dead communist dictator". While Sanders is a familiar American liberal politician, Corbyn may be a phenomenon, with his indefatigable support for the victims of American and British imperial adventures and for popular resistance movements. For example, in the 1960s and 70s, the Chagos islanders were expelled from their homeland, a British colony in the Indian Ocean, by a Labour government. An entire population was kidnapped. The aim was to make way for a US military base on the main island of Diego Garcia: a secret deal for which the British were “compensated” with a discount of $14 million off the price of a Polaris nuclear submarine. I have had much to do with the Chagos islanders and have filmed them in exile in Mauritius and the Seychelles, where they suffered and some of them “died from sadness”, as I was told. They found a political champion in a Labour Member of Parliament, Jeremy Corbyn. So did the Palestinians. So did Iraqis terrorized by a Labour prime minister’s invasion of their country in 2003. So did others struggling to break free from the web of western power. Corbyn supported the likes of Hugo Chavez, who brought more than hope to societies subverted by the US behemoth. And yet, now Corbyn is closer to power than he might have ever imagined, his foreign policy remains a secret. By secret, I mean there has been rhetoric and little else. “We must put our values at the heart of our foreign policy,” he said at the Labour conference. But what are these “values”? Since 1945, like the Tories, British Labour has been an imperial party, obsequious to Washington: a record exemplified by the crime in the Chagos islands. What has changed? Is Corbyn saying Labour will uncouple itself from the US war machine, and the US spying apparatus and US economic blockades that scar humanity? His shadow Foreign Secretary, Emily Thornberry, says a Corbyn government “will put human rights back at the heart of Britain’s foreign policy”. But human rights have never been at the heart of British foreign policy - only “interests”, as Lord Palmerston declared in the 19th century: the interests of those at the apex of British society. Thornberry quoted the late Robin Cook who, as Tony Blair’s first Foreign Secretary in 1997, pledged an “ethical foreign policy” that would “make Britain once again a force for good in the world”. History is not kind to imperial nostalgia. The recently commemorated division of India by a Labour government in 1947 – with a border hurriedly drawn up by a London barrister, Gordon Radcliffe, who had never been to India and never returned – led to blood-letting on a genocidal scale. It was the same Labour government (1945-51), led by Prime Minister Clement Attlee – “radical” by today’s standards - that dispatched General Douglas Gracey’s British imperial army to Saigon with orders to re-arm the defeated Japanese in order to prevent Vietnamese nationalists from liberating their own country. Thus, the longest war of the century was ignited. It was a Labour Foreign Secretary, Ernest Bevin, whose policy of “mutuality” and “partnership” with some of the world’s most vicious despots, especially in the Middle East, forged relationships that endure today, often sidelining and crushing the human rights of whole communities and societies. The cause was British “interests” – oil, power and wealth. The doublethink was quintessentially Labour. When I later asked Healey about this “valuable market”, he claimed his decision made no difference to the volume of military exports. In fact, it led to an almost doubling of Britain’s share of the arms market. Today, Britain is the second biggest arms dealer on earth, selling arms and fighter planes, machine guns and “riot control” vehicles, to 22 of the 30 countries on the British Government’s own list of human rights violators. Will this stop under a Corbyn government? The preferred model - Robin Cook’s “ethical foreign policy” – is revealing. Like Jeremy Corbyn, Cook made his name as a backbencher and critic of the arms trade. “Wherever weapons are sold,” wrote Cook, “there is a tacit conspiracy to conceal the reality of war” and “it is a truism that every war for the past two decades has been fought by poor countries with weapons supplied by rich countries”. Cook singled out the sale of British Hawk fighters to Indonesia as “particularly disturbing”. Indonesia is "not only repressive but actually at war on two fronts: in East Timor, where perhaps a sixth of the population has been slaughtered … and in West Papua, where it confronts an indigenous liberation movement”. He was referring to Indonesia’s bombing of East Timor with British Hawks and the slaughter of his people with British machine guns. He received no reply. The following week Cook called journalists to the Foreign Office to announce his “mission statement” for “human rights in a new century”. This PR event included the usual private briefings for selected journalists, including the BBC, in which Foreign Office officials lied that there was “no evidence” that British Hawk aircraft were deployed in East Timor. A few days later, the Foreign Office issued the results of Cook’s “thorough review” of arms sales policy. “It was not realistic or practical,” wrote Cook, “to revoke licences which were valid and in force at the time of Labour’s election victory”. 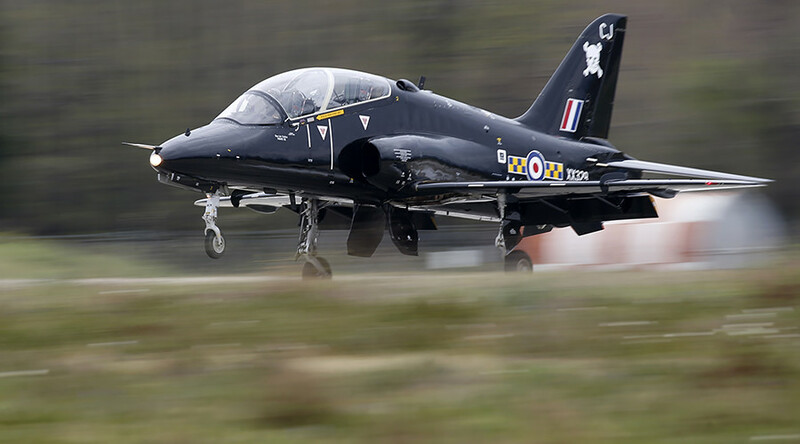 Suharto’s Minister for Defence, Edi Sudradjat, said that talks were already under way with Britain for the purchase of 18 more Hawk fighters. “The political change in Britain will not affect our negotiations,” he said. He was right. Today, replace Indonesia with Saudi Arabia and East Timor with Yemen. British military aircraft – sold with the approval of both Tory and Labour governments and built by the firm whose promotional video had pride of place at Labour’s 2017 party conference – are bombing the life out of Yemen, one of the most impoverished countries in the world, where half the children are malnourished and there is the greatest cholera epidemic in modern times. Hospitals and schools, weddings and funerals have been attacked. In Ryadh, British military personnel are reported to be training the Saudis in selecting targets. But the evidence of Saudi Arabia’s crimes in Yemen is already documented by Amnesty and others, notably by the courageous reporting of the British journalist Iona Craig. The dossier is voluminous. Labour does not promise to stop arms exports to Saudi Arabia. It does not say Britain will withdraw its support for governments responsible for the export of Islamist jihadism. There is no commitment to dismantle the arms trade. The manifesto describes a “special relationship [with the US] based on shared values … When the current Trump administration chooses to ignore them … we will not be afraid to disagree”. As Jeremy Corbyn knows, dealing with the US is not about merely “disagreeing”. 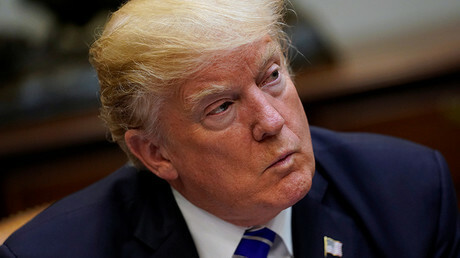 The US is a rapacious, rogue power that ought not to be regarded as a natural ally of any state championing human rights, irrespective of whether Trump or anyone else is President. When Emily Thornberry , in her conference speech, linked Venezuela with the Philippines as “increasingly autocratic regimes” – slogans bereft of facts and ignoring the subversive US role in Venezuela - she was consciously playing to the enemy: a tactic with which Jeremy Corbyn will be familiar. A Corbyn government will allow the Chagos islanders the right of return. But Labour says nothing about renegotiating the 50-year renewal agreement that Britain has just signed with the US allowing it to use the base on Diego Garcia from which it has bombed Afghanistan and Iraq. A Corbyn government will “immediately recognize the state of Palestine”. There is silence on whether Britain will continue to arm Israel, continue to acquiesce in the illegal trade in Israel’s illegal “settlements” and treat Israel merely as a warring party, rather than as an historic oppressor given immunity by Washington and London. On Britain’s support for Nato’s current war preparations, Labour boasts that the “last Labour government spent above the benchmark of 2 per cent of GDP” on Nato. It says, “Conservative spending cuts have put Britain’s security at risk” and promises to boost Britain’s military “obligations”. In fact, most of the £40 billion Britain currently spends on the military is not for territorial defence of the UK but for offensive purposes to enhance British “interests” as defined by those who have tried to smear Jeremy Corbyn as unpatriotic. If the polls are reliable, most Britons are well ahead of their politicians, Tory and Labour. They would accept higher taxes to pay for public services; they want the National Health Service restored to full health. They want decent jobs and wages and housing and schools; they do not hate foreigners but resent exploitative labour. They have no fond memory of an empire on which the sun never set. They oppose the invasion of other countries and regard Blair as a liar. The rise of Donald Trump has reminded them what a menace the United States can be, especially with their own country in tow. 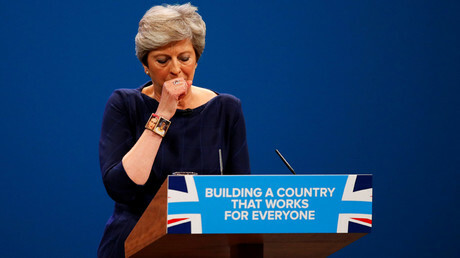 The Labour Party is the beneficiary of this mood, but many of its pledges – certainly in foreign policy – are qualified and compromised, suggesting, for many Britons, more of the same. Jeremy Corbyn is widely and properly recognized for his integrity; he opposes the renewal of Trident nuclear weapons; the Labour Party supports it. But he has given shadow cabinet positions to pro-war MPs who support Blairism, tried to get rid of him and abused him as “unelectable”. “We are the political mainstream now,” says Corbyn.